The first phase of the Zuiderzee reclamation project was to drain Wieringermeer. The Lely, with its three pumps set lengthwise, controls the water level in this polder. Water enters through three channels which can be shut off separately using paddles. 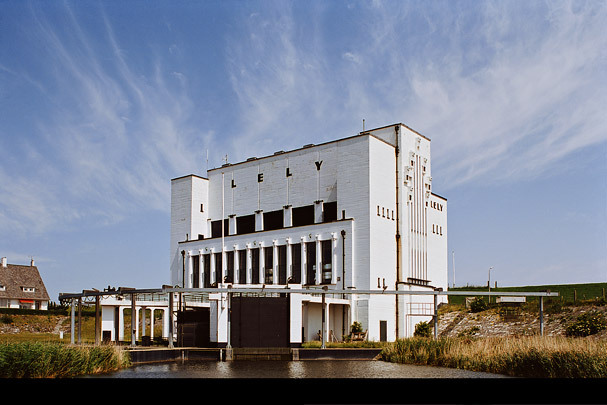 The image of this white pumping station above the flat polder landscape survives as a monument to the optimism felt during the 1930s when embarking on the drainage of an entire inland sea.